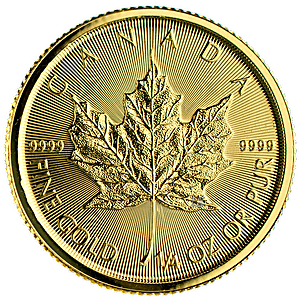 The 2015 gold Maple Leaf features innovative high security details in the form of precision radial lines on both coin faces and a security privy mark micro-engraved by laser. 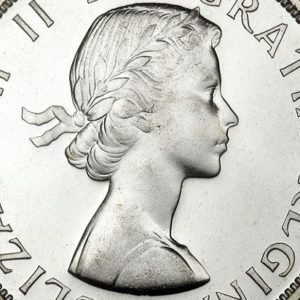 The obverse of the coin features a modern portrait of Queen Elizabeth II, Canada’s head of state, with the coin’s face value $10, and the year of manufacture, 2015, inscribed in an arc below. The reverse of the coin features a stylised Maple Leaf surrounded by the words ‘CANADA’ and ‘FINE GOLD’ ‘1/4 OZ OR PUR’, together with the gold coin’s purity 9999.